Our solution is smart indoor positioning and navigation (IPIN) mobile application where users with the help of a smartphone can receive indoor voice guided navigation and location based information alerts to make it easy to find and explore places and items in places like shopping malls, museums or other “big” buildings catering to the needs of visitors. The initiative is run under the UAE based startup Smart Navigation System. Willing venue owners like shopping malls, hospitals, airports, exhibitions and museums contact us and we give them access to InNAv control panel. Hence venue and shop owners get the authorized secure access for entering and maintaining data about shops, products, information and campaigns as well as accessing the analytical data and information about the venue visitor behavior. 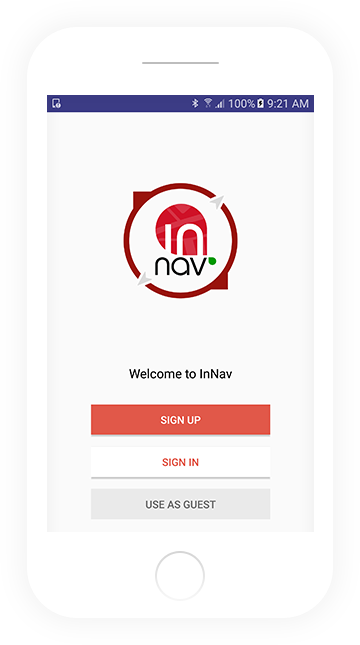 The venue is added to InNav mobile application as private or public venue.